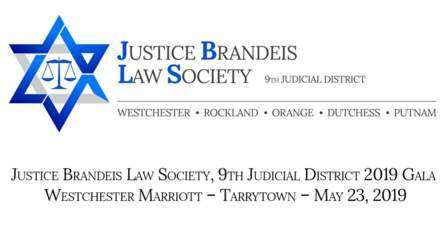 The Justice Brandeis Law Society was founded in 2007. 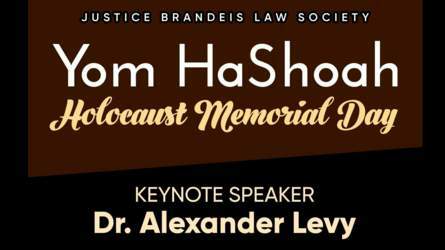 JBLS was established to foster a shared commitment to Jewish values as well as to encourage civility and build camaraderie among all attorneys. We encourage you to find out more about the JBLS and to become a part of this exciting organization. Our membership is made up of judges, attorneys, and court personnel who possess a commitment to justice and fairness to all. 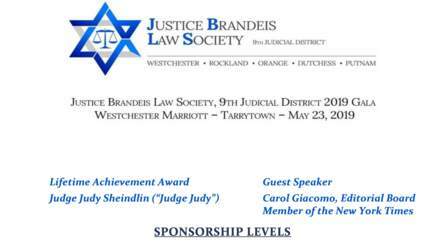 Sponsorship and Journal Listings now available for the Upcoming 2019 Gala.